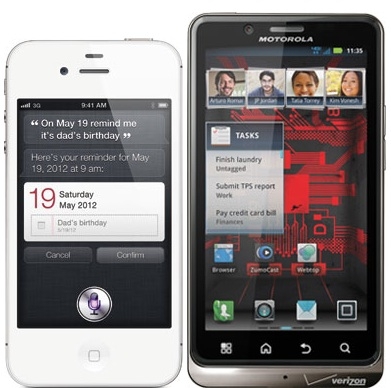 "Apple announced iPhone 4S on Tuesday, a device the company is shipping on October 14th. As the latest and greatest in Apple's smartphone line, we wanted to see how it stood up to some competing Android devices, starting with the highly touted Motorola Droid Bionic, which was released in September." I don't even see how you can compare these two, but they did it anyway. I think if you like the iPhone and all it is then you won't be buying a Bionic. Interesting though, in the comparison one thing missing is the comparison about shutter speed when using both cameras. As Phil Schiller pointed out on stage, the iPhone 4 is at least twice as fast as any of the other smartphones when it comes to taking that first picture, and even faster on subsequent pictures. The camera improvement and the speed of the processor are really the only things that are making me consider upgrading at this time. What are your thoughts?